She’s less like a rock star, and more like a friend you would share a cup of coffee with in your kitchen. 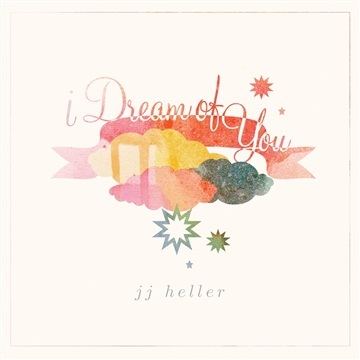 Storyteller, singer/ songwriter, JJ Heller is bridging that gap and uniting women’s audiences across the country. With over 14 years of full-time experience in front of audiences, JJ has a way of drawing in listeners of all ages with stories and songs from the perspective of a woman juggling the roles of wife, mother and career artist. While best known for her songs which have been featured nationwide on K-LOVE and other radio stations, JJ also is a gifted storyteller. JJ is committed to spreading a message of hope to women in an increasingly complex, competitive and confusing world. Somehow JJ effortlessly delves into this territory with a combination of heartfelt lyrics and stirring melodies. Her songs disarm audiences, while also inspiring them at the same time. An evening with JJ often leads to audiences laughing one moment, crying the next, while feeling inspired to embrace all that life has to offer with a whole heart. • Over 14 Million YouTube plays • 183,000 Facebook Fans PHYSICAL ALBUM SALES • Over 210,000 Sold • OVER 10,000 lullaby albums donated to children’s hospitals and families.